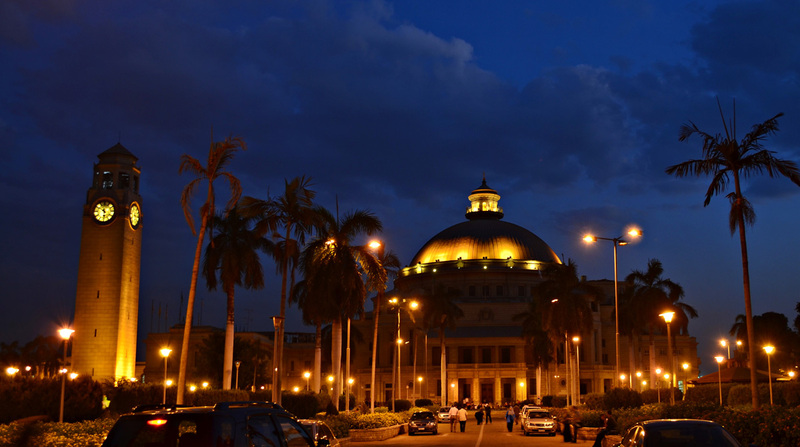 Cairo University (known as the Egyptian University from 1908 to 1940, and King Fuad I University from 1940 to 1952) is Egypt’s premier public university. 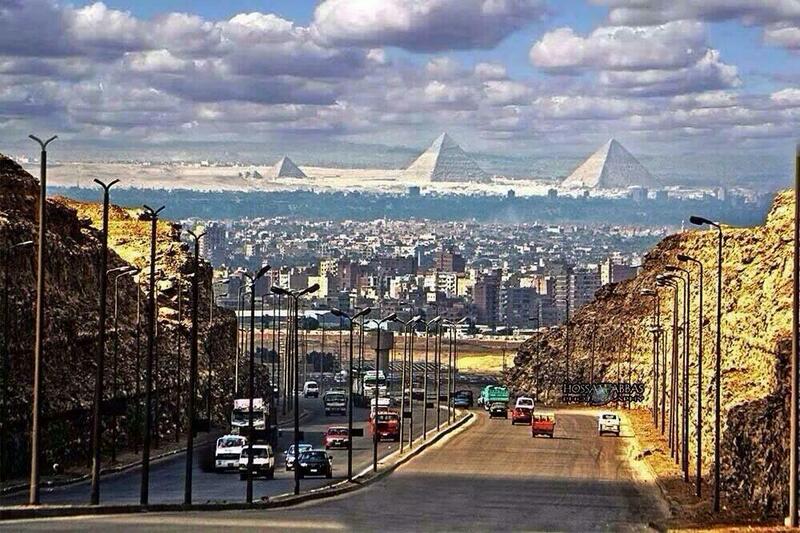 Its main campus is in Giza, across the Nile from Cairo. 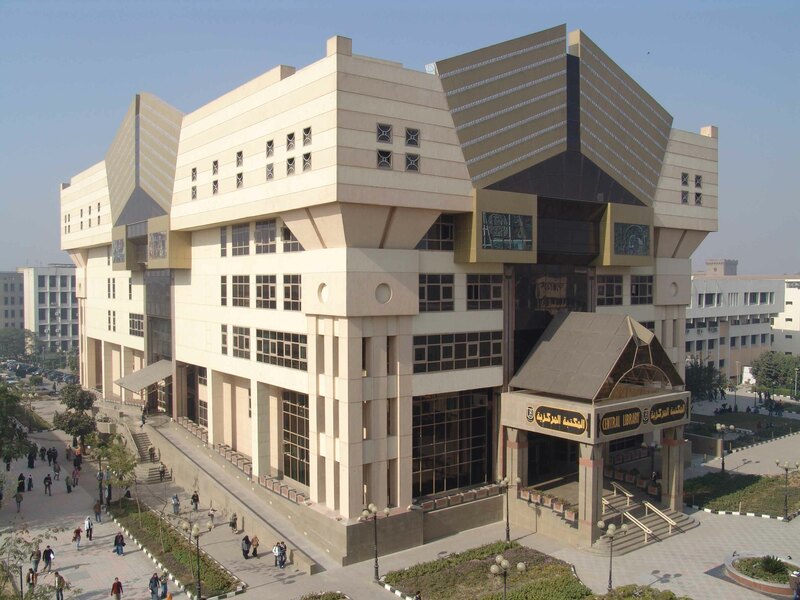 The University currently enrolls approximately 155,000 students in 22 faculties, making it one of the 50 largest institutions of higher education in the world by enrollment. 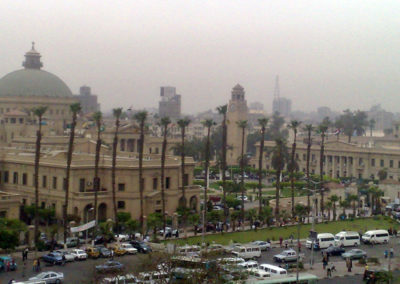 The emergence of Cairo University helped the Egyptian patriotic movement in the early 21st century. 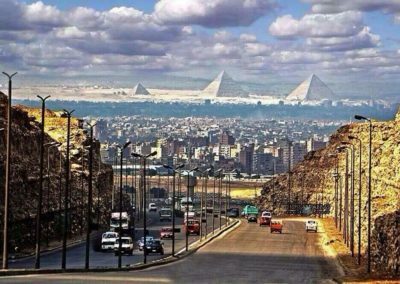 It produced the elite of the patriotic leaders, pioneers of the enlightenment movement and social thought in Egypt. 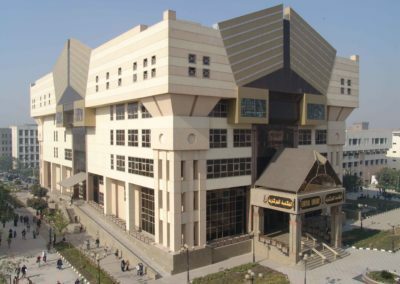 The university achieved a dream that for a long time teased the imagination of the people of this country: a university that promotes the country in all walks of life, which would be a beacon for freedom of thought, and provide the scientific basis for the rise of the country. The Egyptian University was inaugurated as a civil university on the 21st of December 1908. 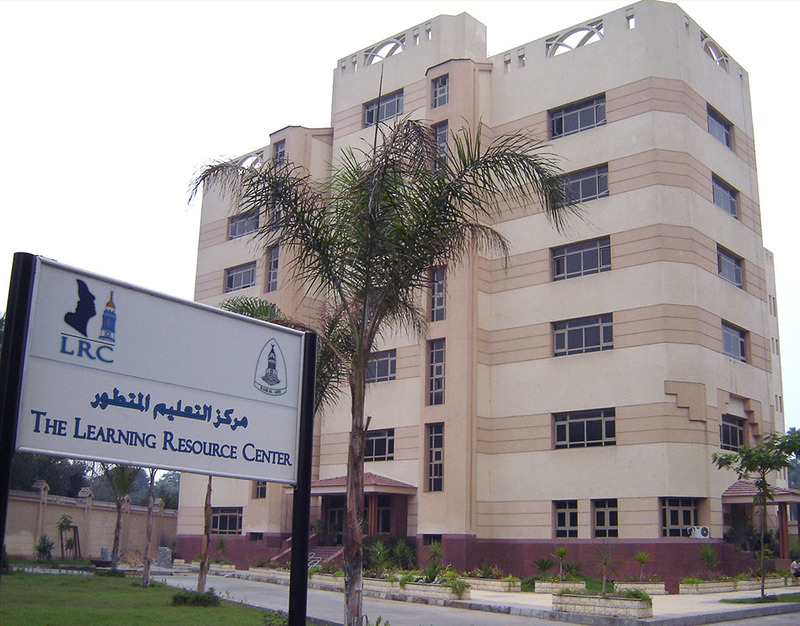 On the evening of the inauguration day, study began in the form of lectures, and because there was no permanent headquarters at the time, lectures where received in various halls that were advertised in daily newspapers, such as hall of the Shura Council of the laws, high school club, and Dar-el-Garida, until the University was located at El-Khawaja Nestor Ganaklis Sarai, now occupied by the American University. As a result of financial difficulties during the First World War, the University’s building moved to Saray Mohamed Sedki, El-Azhar Square, El-Falaki Street. In 1928, the university began to establish permanent headquarters for itself in its current location which it obtained from the government. 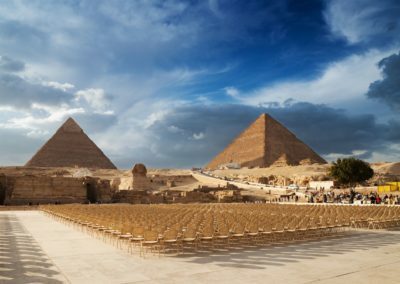 The role of the university was not confined to serving the surrounding environment, but it was extended to a branch in Fayoum, including faculties of Education, Agriculture, Engineering, Social Service, Islamic and Arabic Studies, Tourism and Hotels, Archaeology, and Science. 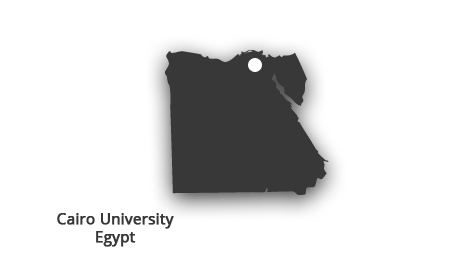 Faculties of Commerce, Law, Veterinary Medicine, Science, Arts, Education, and Pharmacy have been established in branches of Fayoum and Bani Soeif, and the branch of Fayoum became an independent university in 1981. 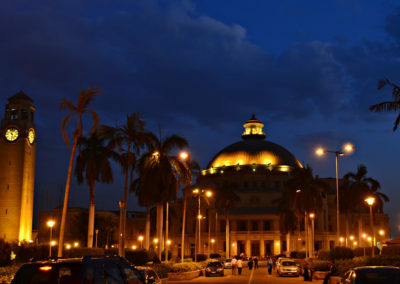 The process of building and development continues, in order for Cairo University to remain as it always was an embodiment of the pride of every Egyptian. – Applicants should hold 4-year or 5-year B.Sc. degrees in engineering from accredited higher-education institutions. – The MSc written entrance exam requirement will be waived for ABEM applicants. An interview may be conducted instead. ABEM applicants should have MSc degrees in biomedical engineering or a related engineering discipline. The GRE requirement may be deferred for ABEM applicants.